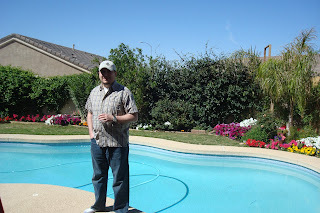 We went on a fun weekend to Phoenix/Mesa and had the best time. It was so nice to just relax in the sun and enjoy being taken care of for a few days. I was so sad to leave. It went by way to fast. Here are some pictures from the trip. our first day there we went kayaking. If anyone knows me, they know I have a great fear of water. 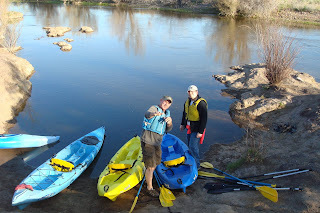 So, I went in a raft and let Jonathan and my dad take the kayaks. when I was little, I used to call these cheesies and would eat them from our front lawn. They were all over by the river. 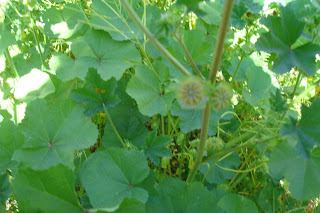 I know they are weeds now, but I had to eat one for memory sake. my dad and I at the temple. He sure has gone gray. 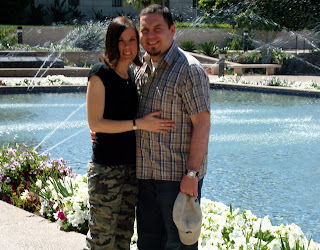 Jonathan and myself at the Mesa temple... I love this temple. I have so many great memories of it as a youth. 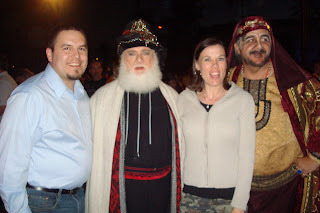 at the easter pageant with a few of the cast members. my dads backyard.. What a little paradise. feeling like a kid again. 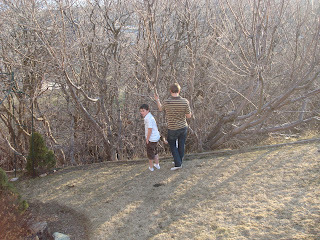 I attempted to climb a tree. 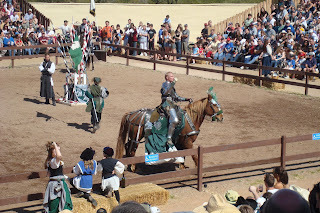 the jousting tournament at the Renaissance Festival. It was a blast. Last night was the precinct meeting to vote for our state and county delegates. Well, Jonathan decided that he wanted to be nominated for state delegate. He is so passionate and knowledgeable about issues that he believes in. He really wants to make a difference. I really admire him for that. So, last night at the meeting he was nominated for state delegate. He was asked to give a speech and than questions were asked. This was done for anyone that was in the running for state or county delegate. WOW!!! That got heated. He even had a man call him a weasel. People get so emotional about issues. The main issue was about school vouchers. Jonathan has really studied the issue and so doesn't go to such an emotional position as some of these other people did. It was crazy to me! People had lots of uninformed opinions about issues and no substance to back them up. Anyway, enough people liked what he had to say and it was put to a vote and he won the nomination for our precinct. So, Jonathan is now a state delegate... And if you are wondering what a state delegate is, this is the definition..
A delegate is essentially a super-voter; They get to vote for the GOP nominee. Regular voters will ONLY be voting to determine the number of delegates for the candidates in your state Primary (or caucus); Regular voters can't vote for the GOP nominee. Remember, our system of government is a republic and not a democracy. Now you can understand why it's so important to become a delegate because delegates determine who the GOP nominee is! He said he wants to do more than just salute the flag and get teary eyed when the national anthem is played. Hmmm.... I wonder what the next step will be? So, I got a new purse for Christmas that I have not used yet. I never carry a purse, only a wallet. Well, I thought I would get it out and use it for all my stuff while traveling this last weekend. This is a conversation I had with Haylee about it. "Mom where did you get that purse?" "I got it from your Dad for Christmas." "Do you think it is a pretty purse?" " Do you think anything is Ugly?" I think this was her nice way of saying she thought my purse was ugly. She is a hoot and keeps me laughing all the time. 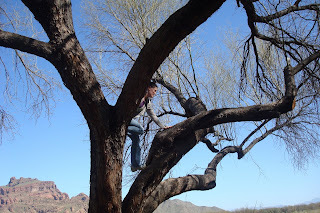 Tomorrow Jonathan and I will be taking a nice relaxing trip and flying to Phoenix for Jonathan's birthday. We will be there for Easter weekend. I am looking forward to lots of things. The easter pageant will be at the temple grounds. I can go to the Mesa temple. 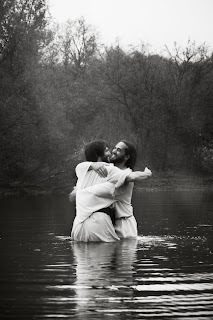 I haven't been there since I was a youth doing baptisms. I am so looking forward to just sitting in the sun for long hours and baking. I am tired of always being cold.... 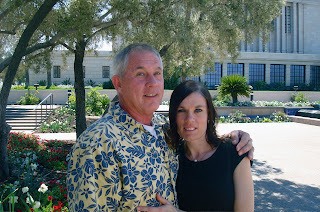 It will be nice to see my dad and his wife Adrienne. 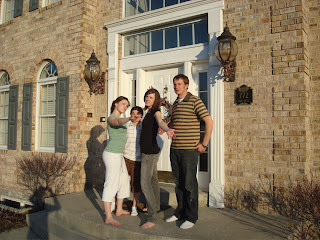 Plus, I get to spend time with one of my favorite cousins Emily and her husband Timmy. I haven't been away from my kids for almost a year so, I am looking forward to the relaxing and pampering and being with my husband. So, I thought I was done refereeing for the season. I put my uniform away and was sad that I would have to wait until November to do it again.. Surprise!!! I am not done. They have asked me to officiate for church ball. I did a game on Thursday, a game on Friday and four games today. That is right, 4 games. Yes, my legs are weak but I am feeling really good. I love the exercise and it is a little more laid back than high school ball. (I didn't do any games for elders, otherwise I would worry.) I also have been told that their are tournaments and camps for different high schools through out the year that I can referee. So, maybe this will end up being a year round thing. That would be awesome. I love the exercise. I love the sport. As my partner told me today, "it is your time to shine." So, I do not watch much television at all. In fact, I think that the only TV that I watch on a regular basis is the series Medium. This changes when American Idol comes on. 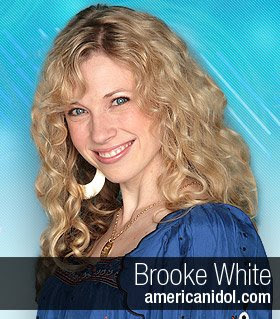 I look forward every year to the new season of American Idol. I LOVE this show... I absolutely love it. I am so excited when Tuesday comes and look forward to it with great anticipation. The last few weeks it has been Tuesdays, Wednesdays, and Thursdays. So, tonight at 7:00 I will be watching my American Idol and voting for my favorites which are really hard to choose this year because they are all so amazing. 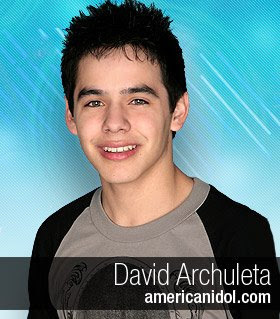 But, I really love David Archuleta from Utah. 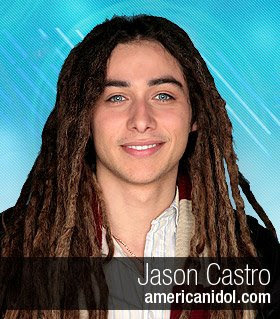 I also really like Jason Castro and Brooke White. Anyway, so call me silly or whatever but, I LOVE this show. Anyone else like it too? 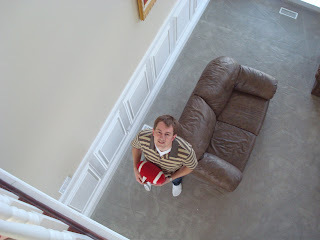 No playing ball in the house!! Since Monica has lived back in Utah, she has taught me many useful cooking skills and tips. But, I think the one that I have used the most comes from 3 ingredients. Olive oil, kosher salt and pepper. These 3 ingredients will make almost anything taste good. For instance, I cut up some zucchini in spears last night, put these 3 ingredients on it and cooked it in the oven for about 20 minutes and now my kids eat zucchini. I put this on roasts, fish, potatoes, any type of vegetable that you roast. I have used it on diced sweet potatoes and broccoli. It is amazing. 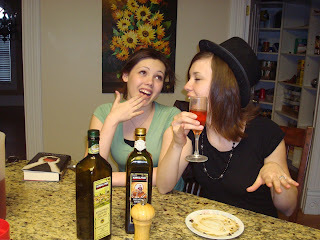 Olive oil brings out the true flavors of dishes plus it is a good healthy oil. This is now a staple in my kitchen. So, if you have a hard time getting your kids to eat your veggies, try this.. It worked for my family. Well, I refereed my last basketball games on Saturday. It was some tournament games for girls. I am both sad and relieved that it is all over. No more crazy fans and coaches yelling at me. My next adventure will be to play in a womens basketball league for our stake. That should be a blast. They won first place last year for Springville. Although, I am a bit nervous. I haven't actually played on a team since high school. Man, that has been like 16 years. I have coached and I have refereed but haven't played for a very long time. I have been dreaming about it. But, they turn into nightmares. Like, I have the ball and start dribbling down the court but can't remember how to dribble and look silly and everyone laughs. But, I will do it. It should be great fun, even if everyone laughs.